These are cast iron charging tongs essential for safely lowering ingots into the crucible. They can open and hold items up to 150mm wide. The inside faces of the jaws are concave with "v" notching for addittional grip. Also useful as general tongs for the movement of hot metals when breaking open cast moulds. 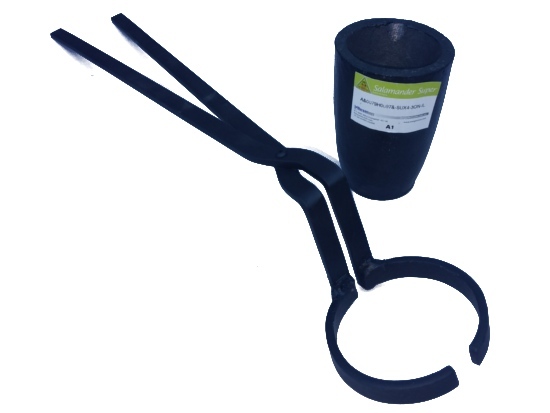 They can also be used for lifting and pouring smaller diameter crucibles. Always check by trialing a dry run to ensure you have sufficient leverage to take the weight of the intended crucible prior to melting.